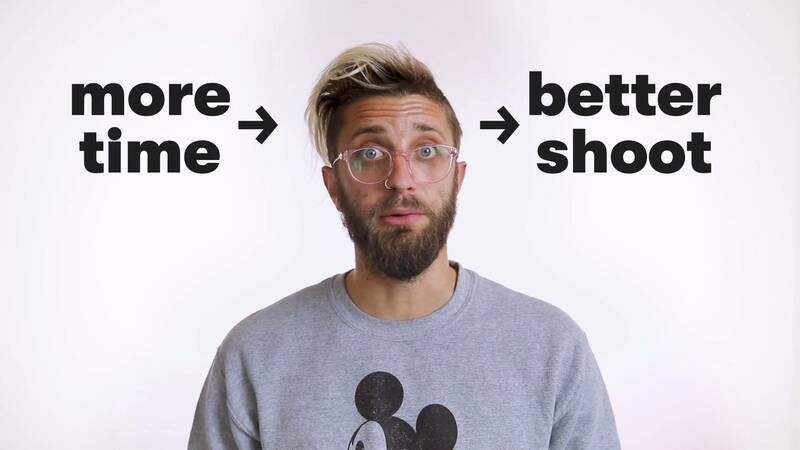 Here at Wistia, we talk a lot about the importance of video that lives on your website, where you can completely control every viewer’s experience. But nearly every major social platform is now evolving to better accommodate video, and as video content becomes more native to these platforms, this dynamic content isn’t just a way to stand out above the rest — it’s a necessity to be noticed at all among those competing for your audience’s attention. In light of video’s increasing prevalence on social networks, we wrote this guide to social media video strategy, including best practices, ideas and case studies, and technical specifications. Syndication is a perfectly fine initial foundation for your social video strategy. Make a video for your website, then repurpose that video across all of your social networks! It’s simple, and it doesn’t require much extra work on your end. Syndication is superior to silence. However, if you want your video content to really resonate, you’re going to have to take it a step further and appeal to how people are using each specific network. Consider your goals for each platform, then ask yourself how videos made (or edited) specifically for that space can help you achieve those goals. At Wistia, we’ve mostly experimented on Facebook, Twitter, Instagram, and YouTube. We’re still learning and experimenting on every channel, but we hope you can apply these lessons across any platform! Think of video as a starting point for conversations and connections across each network, and tailor your social video as you would any other social campaign. Rules are made to be broken, and social media is a great place to do things that don’t scale on occasion — especially if it makes your audience really, really happy! On Facebook, we’ve had the best luck treating video the same way we do images or other visual content. We use silent-friendly videos to tease content and give our audience an inside glance at our company culture. Video is mostly supplemental for us on Facebook. We’re only just beginning to produce videos specifically for this platform, although we often edit clips from other videos to suit that audience. That said, plenty of companies do produce video specifically for Facebook, and we’ll cover a few examples of that below. In June 2015, Facebook announced that in addition to likes, comments, and shares, they were going to begin considering time spent viewing a story in their algorithm for displaying posts within the News Feed. This is great news for those of us who are already creating video, since it’s a dynamic way to grab and hold attention, particularly amidst a feed of mostly-static stories. As you’re editing your video, keep in mind that it will silently autoplay on a loop in the viewer’s feed. Make sure the visuals are as enticing as the audio, and can carry the video’s message on their own, since many viewers will only hear the sound if they choose to turn the volume on — a somewhat challenging ask in this noisy space. Starbucks does a great job with this on their page. For example, in this holiday post, the video serves as a fun animation that draws attention within the feed, behaving more like a GIF. Buzzfeed Food uses clever text overlays on speedy recipe videos to keep them accessible sans audio, perfectly tailored for News Feed browsing. At Wistia, we like to use short videos clips to accompany links, drawing attention to posts that then drive people from Facebook to our website content and putting some faces behind our account. Even though many outside video hosts (including Wistia) can display video in the News Feed, it’s starting to look more and more like native video is the way to go to get your post in front of as many eyes as possible. Facebook’s News Feed algorithm takes a user’s previous video-related actions into account in determining whether to show them videos in the future, and video sees more reach than any other type of post. If your goal is simply to get a brand awareness video in front of as many Facebook viewers as possible, native video is probably the way to go. If your goal is to drive visitors to your website, whether to watch a full video, read a blog post, or make a purchase, then a teaser video is a great way to get your post in front of them to increase their chance of taking that next action. On Twitter, we primarily use video to tease our website content and drive people to subscribe or visit. We also sometimes make quick video replies for people who reach out. Making a short, custom video is a fun way to build a deep personal connection, and it’s also a space where you can experiment with DIY techniques and get more comfortable on camera! Keep context in mind when deciding which videos to upload to Twitter or include a Twitter card for. Ultimately, do you want viewers consuming this information on Twitter, surrounded by distractions, or on your own website? For content teasers and simple, fun videos, consuming on Twitter makes complete sense. For a longer video, we’d recommend sending viewers to your website, where you have complete control over their viewing experience. Instagram is mostly about recreation and connection, so our Instagram presence is all about fun. It’s difficult to get people to visit our site directly from Instagram. Instead of fighting people’s established browsing habits, we usually post teaser content and fun behind-the-scenes shots here. Instagram is a great place to build excitement and positive affect! Like Facebook, Instagram videos autoplay silently by default, so the same rules apply: keep your videos short (there’s a 15-second time limit anyway), and make sure the visual is still effective without any audio. Camper’s Instagram account has a great variety of content, from behind-the-scenes videos from fashion shoots to polished, TV-commercial-esque animations, all aligned with the shoe brand’s distinct quirkiness. If big-brand-style, commercial-level polish isn’t attainable for you, not to worry: an enticing Instagram presence is still within reach. Sprout Social’s Instagram videos mostly focus on giving a behind-the-scenes look at their team. 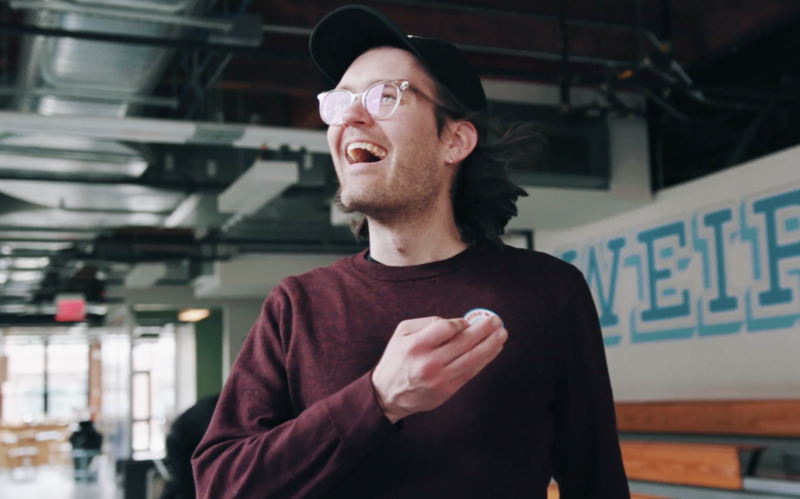 Here at Wistia, we’ve seen decent engagement with re-edited content, behind-the-scenes videos and bloopers, and unpolished iPhone videos from team members. You can shoot video directly within the Instagram app, upload video to your phone from your DSLR or other professional gear, or use one of Instagram’s custom video apps, like Boomerang and Hyperlapse. Choose your tools according to what your brand is trying to accomplish with Instagram. Is it a polished, creative space for impressive, shorter works? Or is it a behind-the-scenes look at your company? You can also include a mixture, but we’d recommend keeping it consistent and building your content around themes. We’ve all heard someone describe YouTube as the “second biggest search engine” after Google. This argument is often employed in debates over the necessity of having a presence on YouTube, but it’s not quite accurate. Google, the biggest search engine, is a bit like a supermarket or a mall: you can find all sorts of things there. Bing is kind of like a weird warehouse you probably don’t want to spend too much time in. If that’s true, then YouTube is more like a library, where people go seeking either information or entertainment. When it comes down to it, people visit YouTube to watch a video, not to make a purchasing decision. You should, therefore, cater your YouTube videos accordingly and focus on creating a specific, engaging channel. Post how-to videos and make an impression with entertaining brand awareness content that’s useful for people who aren’t already familiar with your brand. YouTube themselves break content down into three types: help content (the core content that answers popular queries in your subject area), hub content (regularly scheduled content that drives subscriptions), and hero content (live-streamed events, “viral” content, and other significant one-off efforts). All of these types of videos give people a reason to subscribe to your channel, but don’t expect much return in terms of visits to your own website. Are your prospects on YouTube? What are your prospects watching on YouTube? Can you make relevant content they’re looking for? How effectively can you use YouTube advertising? Do you need your prospects to reach your website? Even if you can establish a YouTube channel with lots of subscribers, it’s only helpful if it’s reaching an audience that’s aligned with your business goals. If brand awareness is the name of the game, YouTube could be an awesome network for you to tap into. If you’re more interested in creating product-focused, conversion-driving content, this may not be the place to host it. You can’t go wrong with simple, exciting updates! People who’ve opted to follow you on social media are usually already excited about the product that you’re offering, so you should feel okay about posting the latest updates, tips, and tricks. 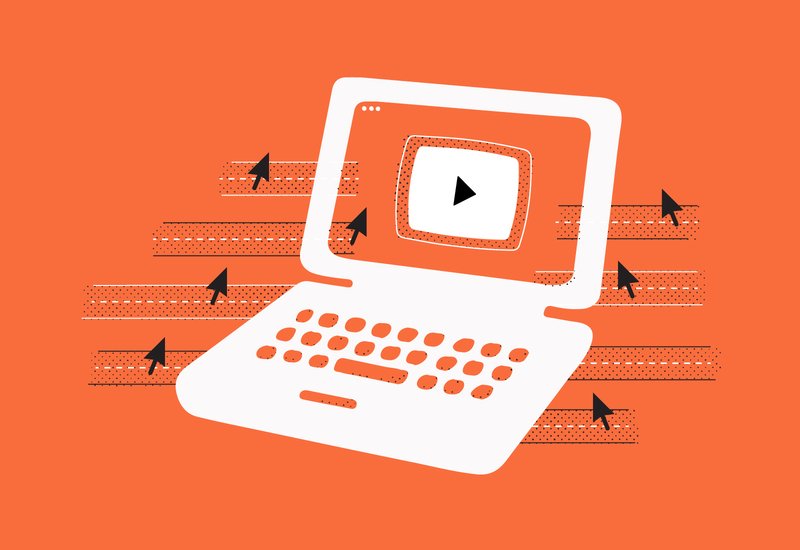 Video can add a human touch to these updates and draw more attention to your posts. Use a video to show off how a new feature or product works, or to demonstrate some use cases. User-generated content works great for this, too! 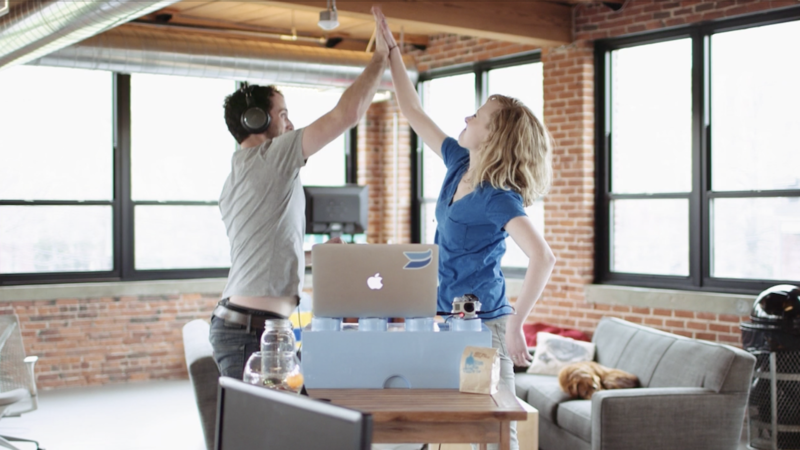 Back in August 2015, we released one of our most ambitious product launch videos yet: a single-shot parade video that featured the entire Wistia team. 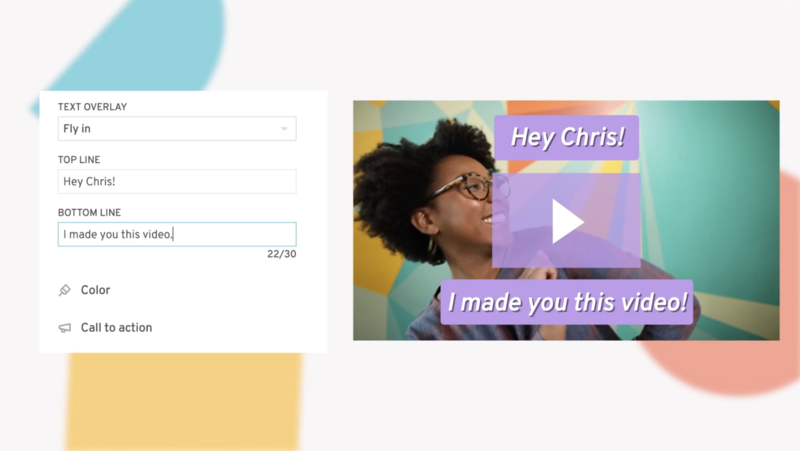 We used this video to drum up excitement about Wistia’s new Enterprise plan and enhanced marketing automation integrations. Our audience is already primed to know that when we do a big video release, we go all out, so we used behind-the-scenes and teaser video content to build some mystery and hype for the big launch on our social channels. While the main video was fairly polished, we were able to use scrappy, behind-the-scenes content as a teaser. People who followed us on Facebook, Twitter, and Instagram felt like they were in on a secret when the launch actually happened. If you’re shooting a major video, use iPhones, GoPros, or other additional filming equipment to capture extra footage you can use to build anticipation. If someone’s chosen to follow your company on social media, they’ve welcomed you into their feeds among their personal friends and family. That’s a pretty special level of trust, and posts that feel overly salesy are going to seem particularly out of place in this context. One way to get around this is to post content that’s really useful. Another, even more contextually-appropriate option is to use social media to give people a sneak peek at what’s happening behind the scenes. This is a fun way to show some personality to your fans, and it also has some perks for future recruiting. After all, who doesn’t stalk a company’s social media presence a bit before applying? Here’s an example from inbound marketing company HubSpot, who offered a tour of their new office using Instagram’s Hyperlapse. Some of the best social videos employ simple tools, like a laptop camera, yet they have a big impact on one-on-one interactions. When you’re browsing social media, you’re mostly seeing unpolished content from your friends. Overly polished video can feel out of place. Just because you can upload videos to most networks from a nice camera doesn’t mean you have to. Publishing platform Medium’s #AskMedium series on Twitter didn’t use the slickest tools, but it didn’t matter, because the purpose of this experiment was to show the people behind their Twitter account. “We were looking for ways to make Medium more accessible and human. Video seemed like a perfect way to show people who was behind @Medium,” said Nick Fisher. While you probably can’t make a new video as a reply to everyone you hear from via social media, taking the time to do this every so often is a great way to build really deep rapport with your community and create brand superfans. 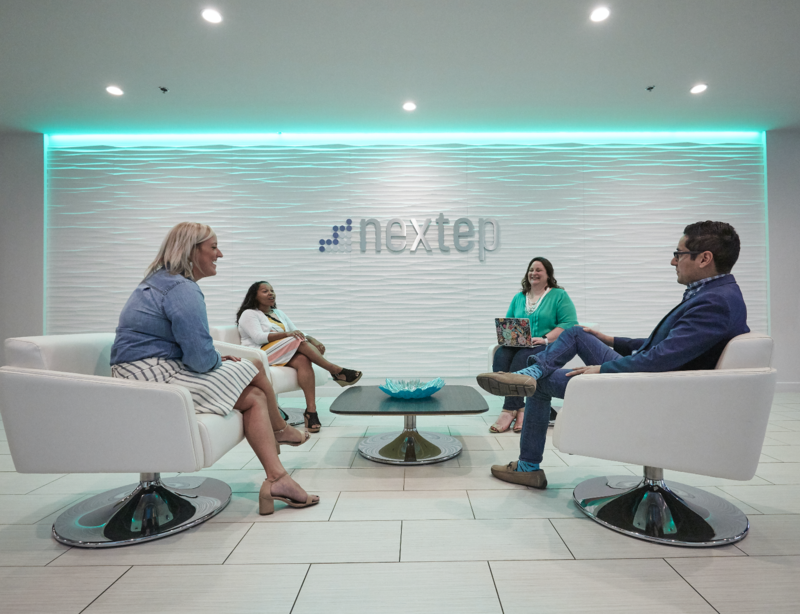 Cloud communications company Nextiva’s quick, simple social response videos don’t take a ton of time to record, but they make people feel like they’re really being heard. Max Anderson, Nextiva’s video producer, made this video in response to a friendly comment on their Facebook page: This video was recorded on a laptop in suboptimal lighting, but it still goes above-and-beyond the norm in making the customer feel appreciated. It’s best to create videos like this to build on existing excitement, not when someone is upset. Someone posting a complaint may not be looking for a surprise, but someone who’s posted something nice or fun will be delighted to receive a video in response. We hope this guide helps you get your social video strategy off the ground, or if you’ve already started, it helps you take your strategy to the next level! We realize that this guide was very focused on strategy and production, and didn’t cover much in terms of specifications for social video. Thankfully, our friends at Sprout Social are on the case. We enlisted their help in creating a handy cheat sheet. Fill out our email form to download a PDF of technical specs for social video.